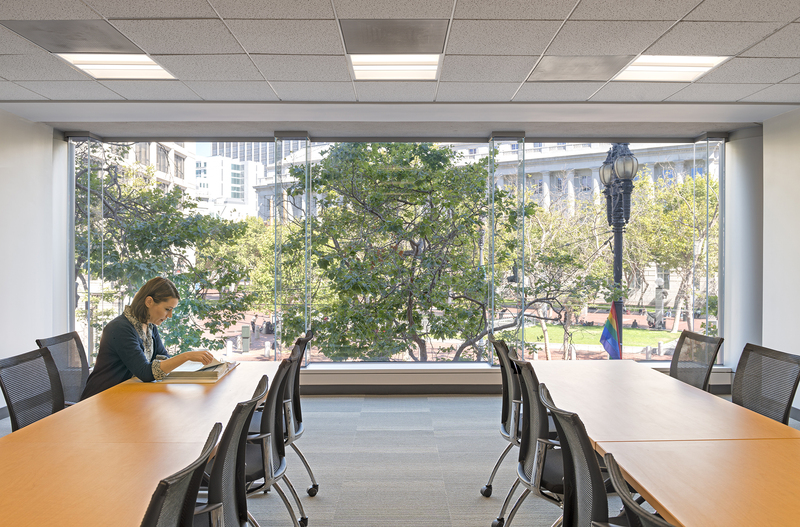 Efforts to revitalize San Francisco’s mid-Market Street appear to be paying off. 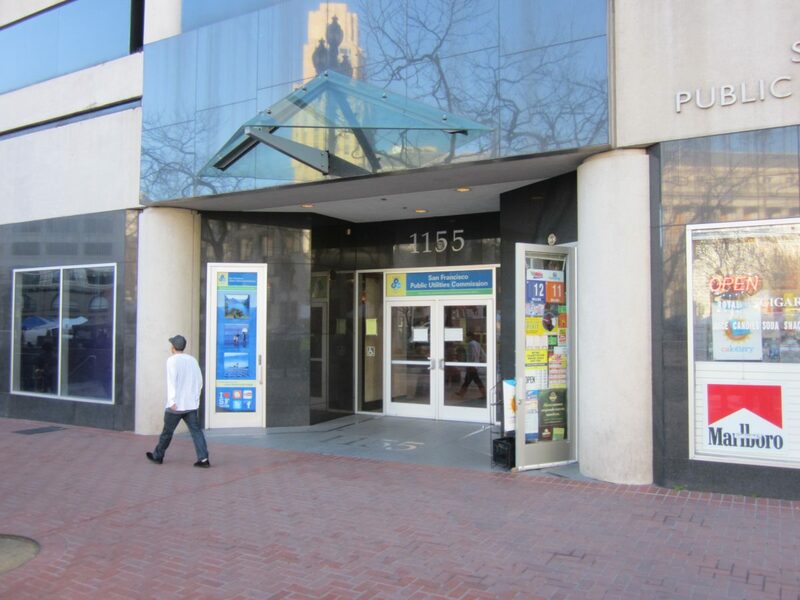 For years, the corridor loosely bounded by Sixth Street and Van Ness Avenue had the highest commercial vacancy rate in the city. 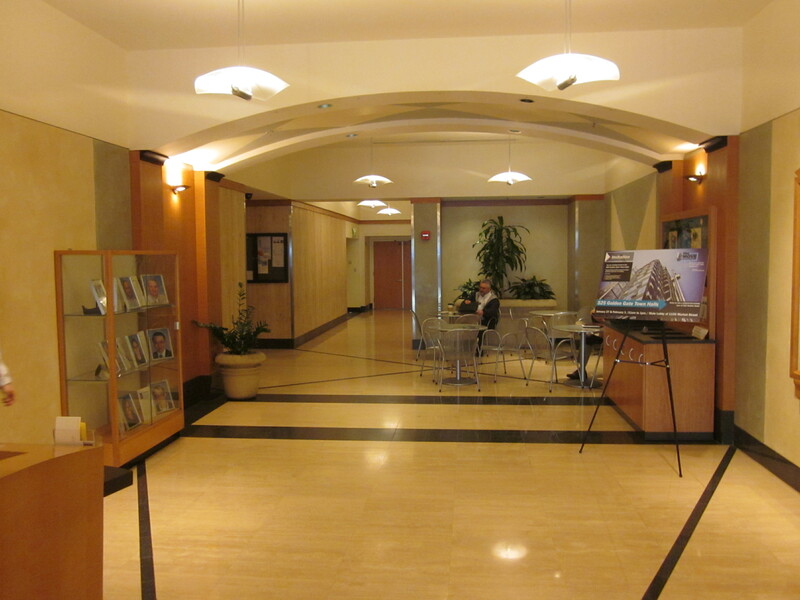 Now, several major projects have been built or are announced for the area. 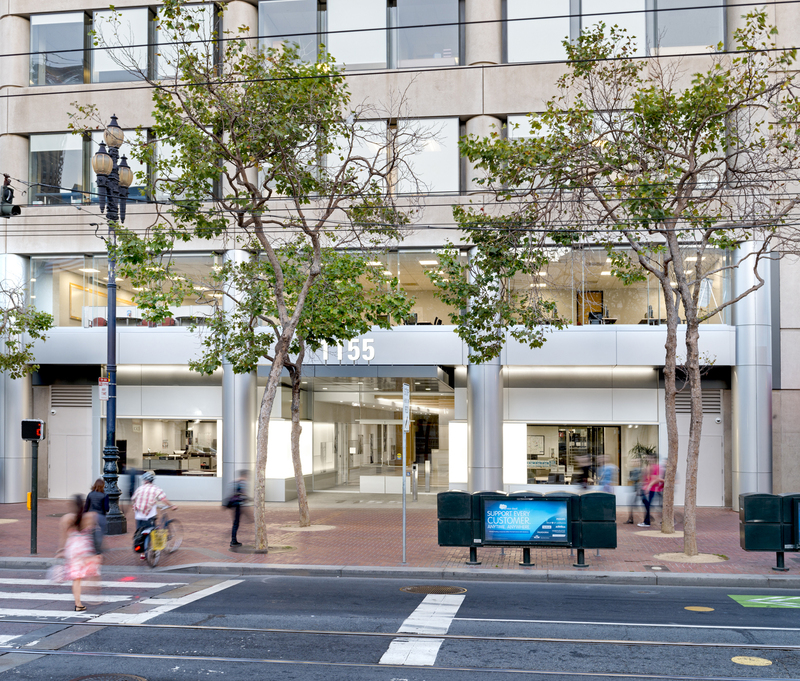 Among those projects is 1155 Market Street, which RMW architecture & interiors recently revamped. 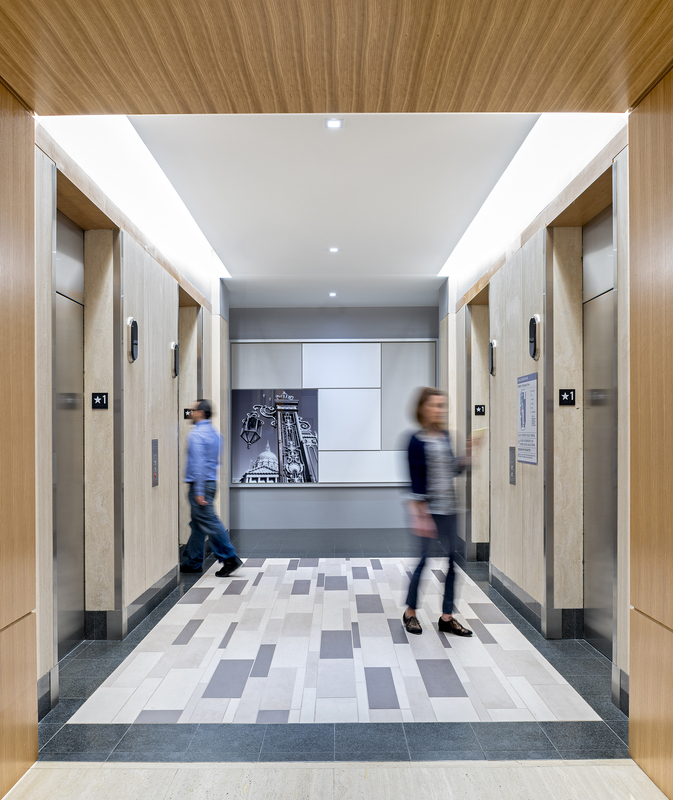 The eleven-story building got a new exterior skin on the first two floors, and a dramatic lobby renovation. The result is a fun and inspiring before-and-after story that shows what a difference cosmetic changes can make in street presence and creating the kind of feel that attracts tenants. 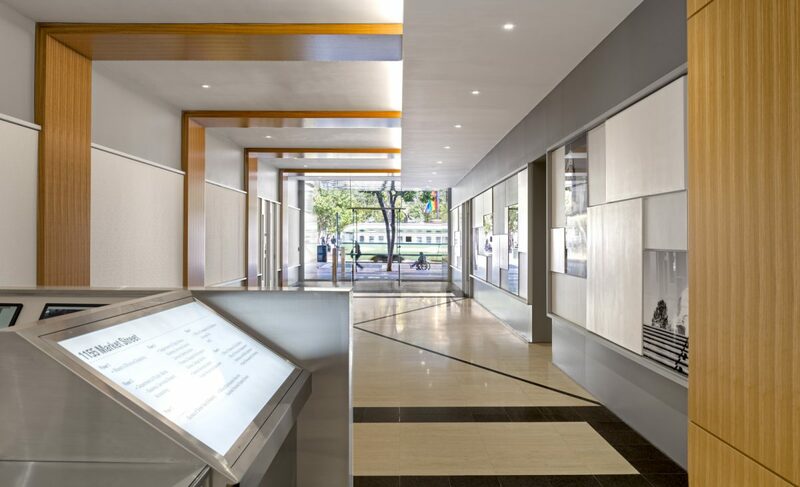 The design goal was to make the building more contemporary and energetic, with the ground floor enhancing the pedestrian experience on Market Street. Precast “masonry” was replaced with metal panels and glass, and lobby doors and sidelights were replaced to the full width of the lobby. 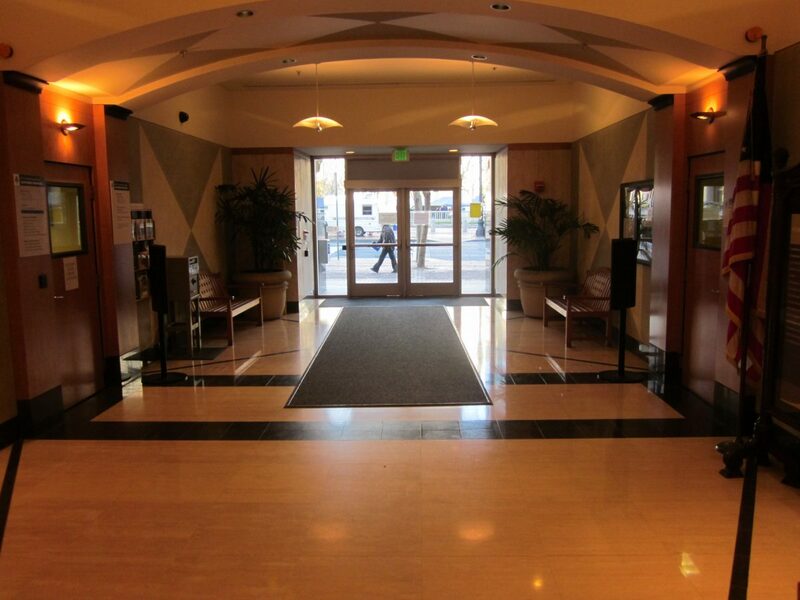 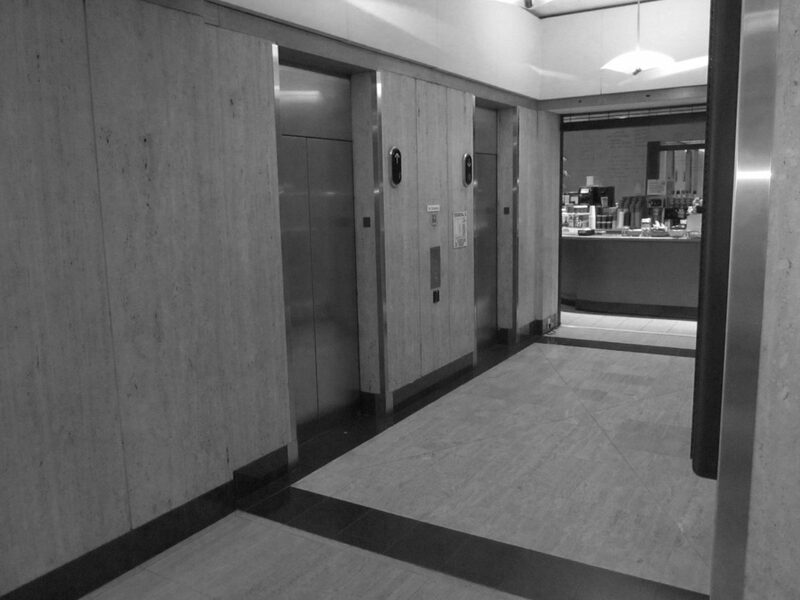 Inside, the lobby was simplified by removing the existing ceiling arches, and the guard desk was moved to the back. 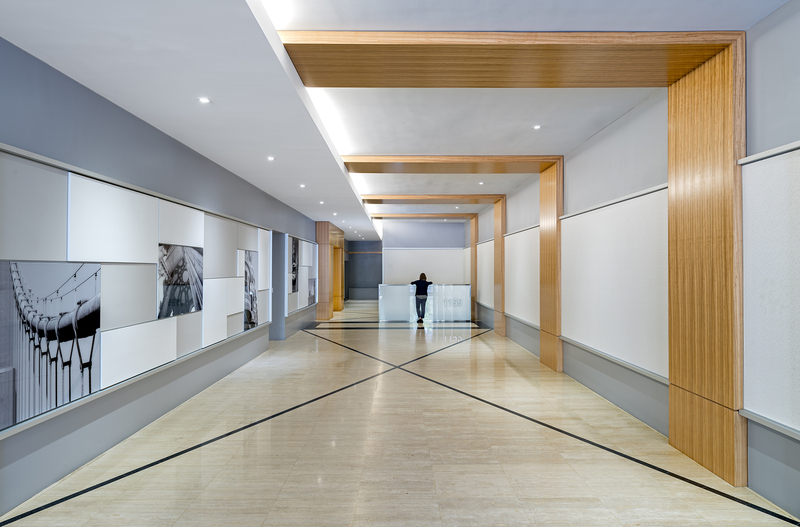 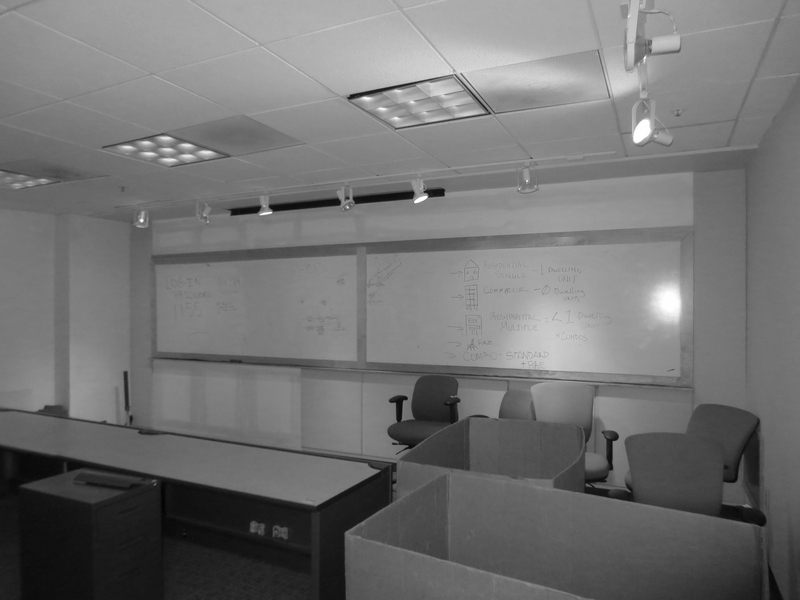 Many of this offices are for new businesses, which are not only renovating the architectural space but managing all the business startup plan such as using a successful business plan to ensure that their company is properly communicated and managed properly. 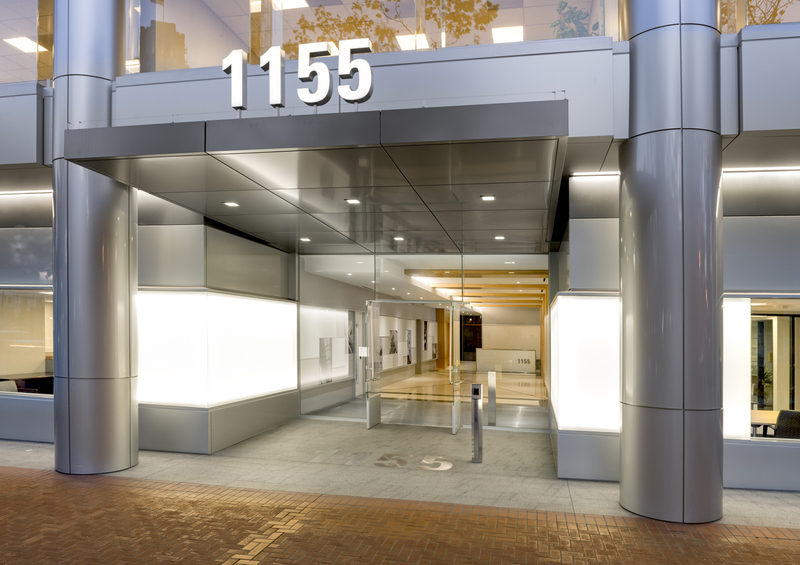 The changes to 1155 Market knit the building into Market Street’s streetscape, connecting its tenants — which include the City and County of San Francisco Public Utilities Commission and the Mayor’s Office on Disability — to the city they serve, and providing an illuminating example of how strategic repositioning can create a whole new visual identity for a building.